Laser Services is a manufacturer & supplier of Lasers, Laser Systems & Accessories. Our manufactured products cover Educational, Medical, Alignment, Industrial, Commercial, Mining and Entertainment applications. We also specialize in custom made laser products for a wide range of applications. As part of our manufacturing capabilities, we offer engineering and R&D input for custom made products. 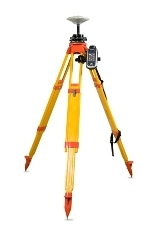 Laser Services is also proud to represent major organisations covering Building & Construction products and Surveying instrumentation. Our represented products include levelling and pipe lasers & accessories, radio communications, survey equipment, laser range-finders and electronic distance measuring devices. Our extensive facilities include a well equipped showroom for the convenience of our local customers, along with a service centre specializing in repairs of laser, optical, and surveying products.